Your attitude towards the little things in your life can affect your health a lot more then you give it credit for. 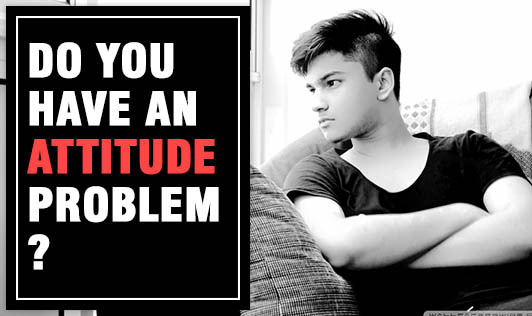 There are a number of commonly perceived attitudes that are incorrect in nature, let’s take a look to find out if you relate to them and what needs to be changed. "Sleep is a luxury shared only by students and cats." Research has shown that sleep plays a huge role in the maintenance of your body functions. Not getting enough sleep can affect your judgment, mood, and concentration. It can also increase the risk of serious accidents and injuries. In the long term, being deprived of sleep can lead to serious problems including obesity, diabetes, cardiovascular disease, and even early death, so make sure you sleep well and take naps! "But my doctor will think I'm a hypochondriac!" Fearing what your doctor will think of you can be a huge barrier to getting help when you need it. Many people tend to downplay serious medical issues for this reason. Remember that your doctor is there to assist you with any medical problems and hearing about your concerns is part of his or her job, so don’t fear their judgment to visit a doctor whenever necessary. "A healthy lunchbox is for the kids. I'll just grab something at work." We all know what "grabbing something at work" does to a healthy, balanced diet. To avoid junk and last minute meals as much as possible, carry your own food at work as it is always healthier than the junk you eat outside. "I need this chocolate to get me through the day." Using unhealthy crutches to get through your day can seem innocent until the day you find you literally can't get through without it. There will always be a day where you can't drink coffee or buy chocolate to cope, or bum a smoke you must know that you can get through tough times without the help of these substitutes. So don’t depend on anything that can turn addictive. "I can't afford to be sick." Waking up with a pounding head, aching body and sore throat means that you are sick, whether you think you can afford it or not. It is humanly to fall ill and might even be an indicator that your body needs rest, so rather than overworking on a sick day take a leave get better and then go to work. Don’t fall for these myths and compulsions as these are socially acceptable and often heard statements. Give yourself a chance to decide, make more mistakes and be more human.